Thinking of giving the exterior of your home a top-to-bottom makeover? When you’re replacing your siding, it makes sense to start thinking about your replacement windows, too. After all, you want to make sure that the aesthetics of your home all work together to achieve an overall effect. But is it better to replace both the windows and the siding at the same time? The answer, in short, is a resounding “yes!” Replacing your windows and siding concurrently allows your contractor to precisely set the capping around the window before they put the siding in place. Capping a window correctly is important, as this aluminum or vinyl framing helps direct water away from the frame and the interior of your walls. Replacing both at the same time allows your contractor to set the windows and then install the siding, which can end up saving you money in the long run, as well. What If I Can’t Afford To Do Both At the Same Time? Typically, installers add a moisture barrier beneath the window frame, which extends below the siding, as well. If you have your contractor install the siding prior to replacing the windows, they may have to cut into your lovely new siding to put that barrier in place. While that doesn’t necessarily rule out doing things in this order, it’s certainly not the ideal situation. Redoing part of the siding could make it look butchered, or it could add to the cost of your window installation. Additionally, since your original windows’ capping will probably be damaged when the siding is removed, your installer will likely want to recap your windows right away, whether they are new ones or not. That means that if you choose to do your siding first, and wait to replace windows, you’ll have to pay extra to have the windows recapped twice. Whereas if you did the windows and the siding at the same time, that capping would be done when the windows were replaced. We get it—redoing both your siding and all the windows in your home is a huge investment. 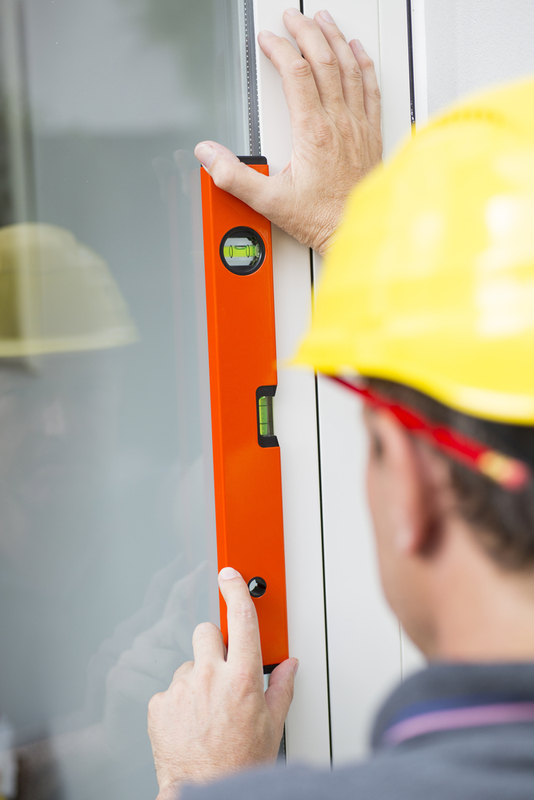 The average double hung window costs between $300 to $700 dollars to replace—and that’s just for one window. Swapping out all the windows in a typical three-bedroom home will run you something like $3,000 to $7,000. Then, when you factor in the cost of a siding replacement, you’re definitely looking at a project that will cost in the tens of thousands of dollars. And not all of us have that kind of money just lying around. If you have to prioritize these projects, do the windows first. Typically, installers will add new windows before they add siding anyway, even when you replace both in the same go, so you’ll be following the order professionals prefer. That said, if your siding is truly falling apart or needs immediate attention, it makes more sense to approach this part of the project first if you can’t afford to do both right away. If you have pieces of siding visibly pulling off the frame, or notice large holes in the boards, do yourself a favor and get the issue settled as soon as possible. These issues can lead to larger problems, like rotting boards, skyrocketing energy costs, and leaks in your home’s interior, so it’s best to take care of them pronto. Another argument for replacing both windows and siding is that they can both affect your home’s energy profile. Windows, in particular, can allow conditioned air to escape through the frames and joints, while your siding acts as a last-ditch protective layer to ward off excess heat and chill. When you’re attempting to save energy, your efforts need to be a whole-home initiative. It doesn’t make sense to replace your windows with energy-efficient Low-E glass windows if you have air and moisture penetrating your home through cracks in your siding. A siding replacement also offers an opportunity to improve your home’s insulation. 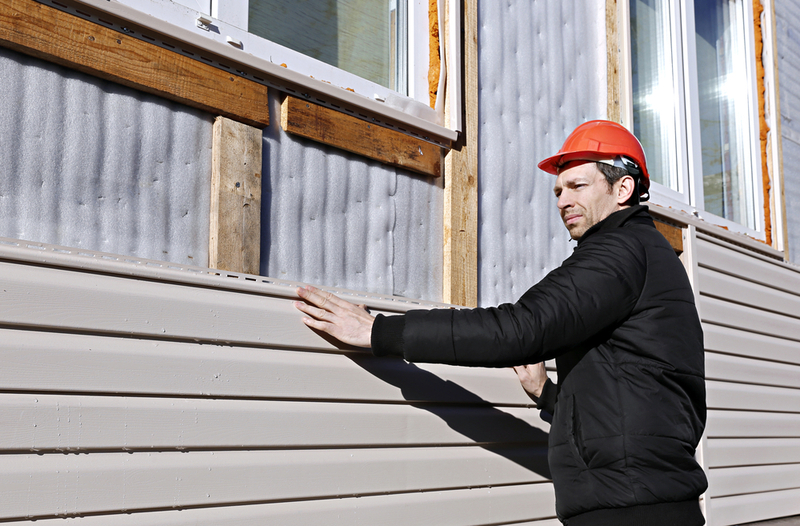 Rigid foam insulation and a housewrap installed behind vinyl siding can improve the R-value of your walls—in other words, it can make you less vulnerable to drafts and weather. That, along with better-performing windows, may significantly reduce your energy costs, particularly if you live in an area that sees intense winters. Prepping your home for better energy performance may mean making quite a few changes, but the savings on your energy bills can certainly make up for it over time. If you really want to know how to bump your home’s energy profile, you should call a professional energy auditor. They can evaluate various aspects of your home and give you advice on what to replace—and what issues are most pressing. After all, any home repair is an investment, and this way, you can make sure you’re getting the most for your money!